Each year, the Center for the Book in the Library of Congress holds a reading and writing contest known as Letters About Literature for students in grades 4-12. Students are asked to read a book, poem, or speech and write a letter to that author (living or dead) about how the text affected them personally. Letters are judged on the state and national levels. 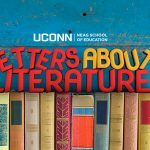 Tens of thousands of students from across the country enter Letters About Literature each year. Engagement is the bedrock of all meaningful connection. It is the foundation of how you build a relationship, (i.e., think about when you get “engaged” to the person you want to commit the rest of your life to), and yet we don’t have a common definition that guides us regarding what engagement actually means. The two researchers will be studying the experience of African-American male students in the context of three different types of institutions: Prairie View A&M University, a historically Black university; University of Connecticut, which is a primarily White institution and UH, which is a Hispanic-serving institution. In 2016, the Wallace Foundation announced a four-year initiative to overhaul the way university preparation programs trained principals to meet school districts’ needs and reflect what research says is needed for effective school leadership. The University of Connecticut is serving as one of the lead institutions on a $32.6 million U.S. Department of Education grant supporting schools and districts throughout the nation to implement empirically based practices to increase student success. Carl Johnson, an assistant principal at Plainville High School since July 2016, is now principal of the town’s sole high school. 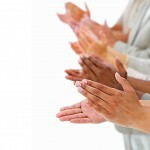 This major federal investment represents five additional years of funding for the National Technical Assistance Center on Positive Behavioral Interventions and Supports (PBIS), which just celebrated its 20th year.